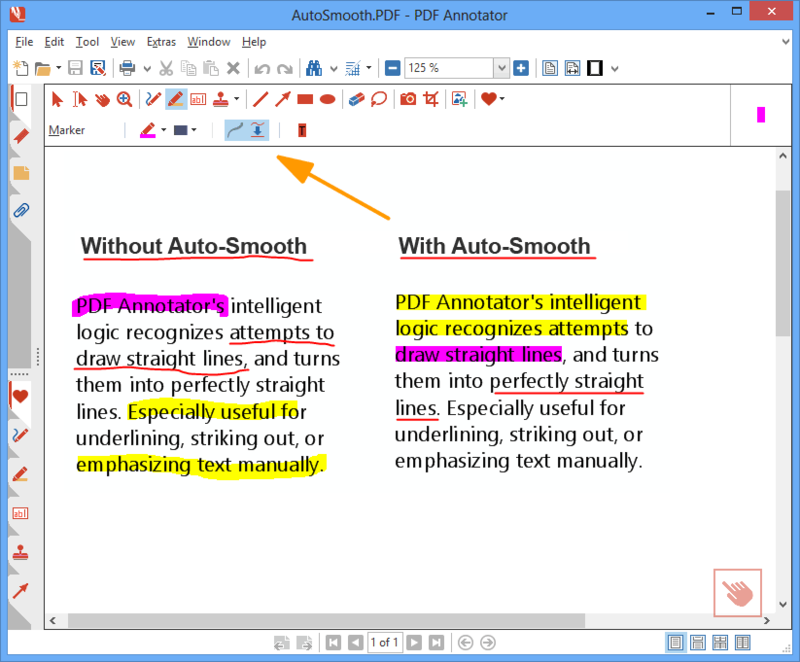 Annotations can be added using the pen in almost any color and different pen widths. 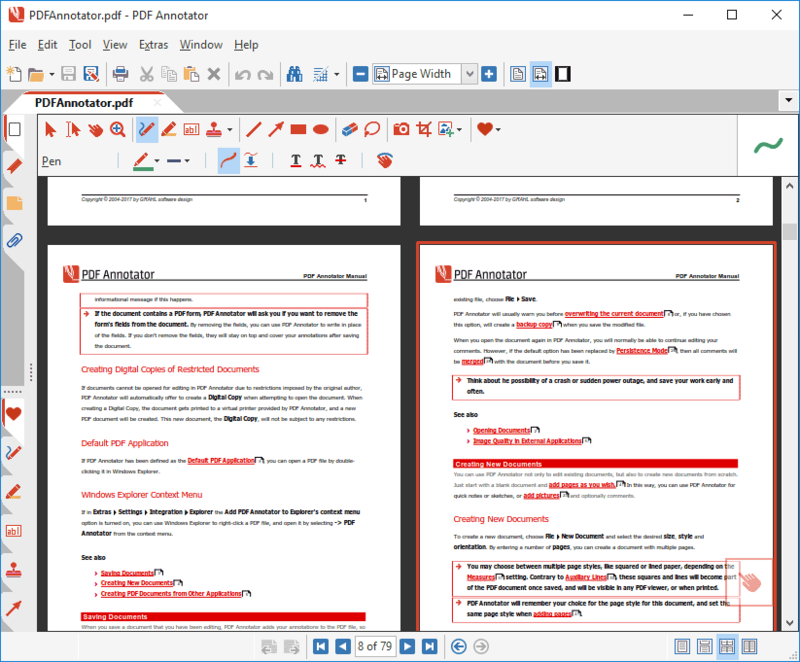 Simply write your comments directly into the document! 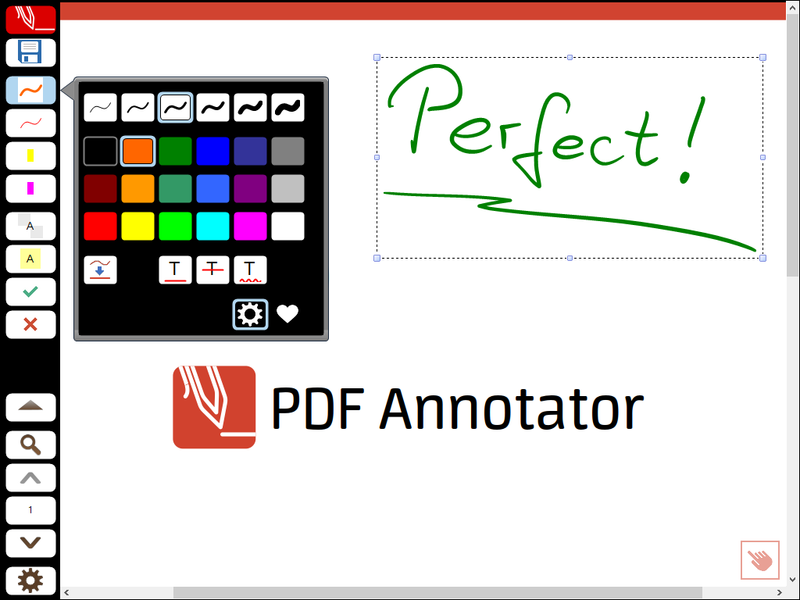 PDF Annotator's intelligent logic recognizes attempts to draw straight lines, and turns them into perfectly straight lines. Especially useful for underlining, striking out, or emphasizing text manually. 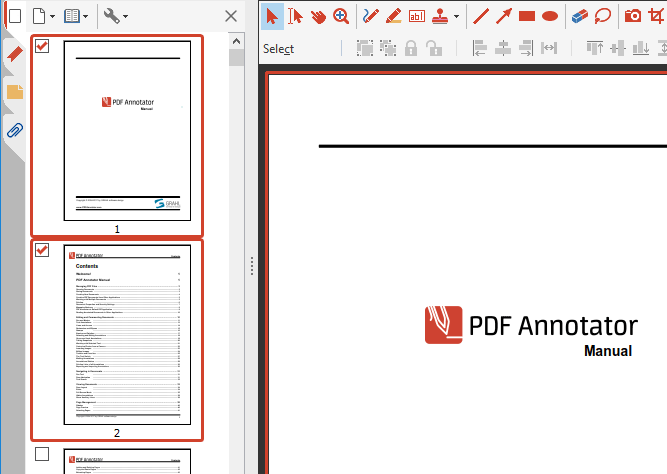 Use PDF Annotator in full screen mode for your presentations to be able to mark up and complete your slides or worksheets live on the screen. 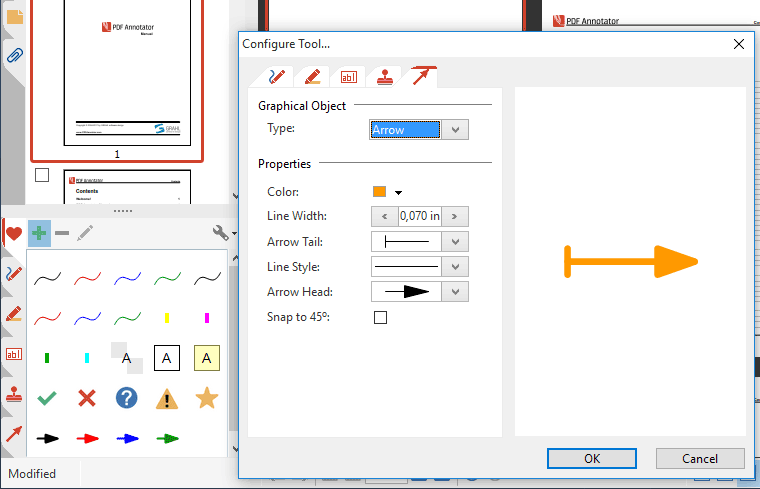 Customize the unique full screen toolbar to fit all your needs. Insert images from various sources, including web cams. 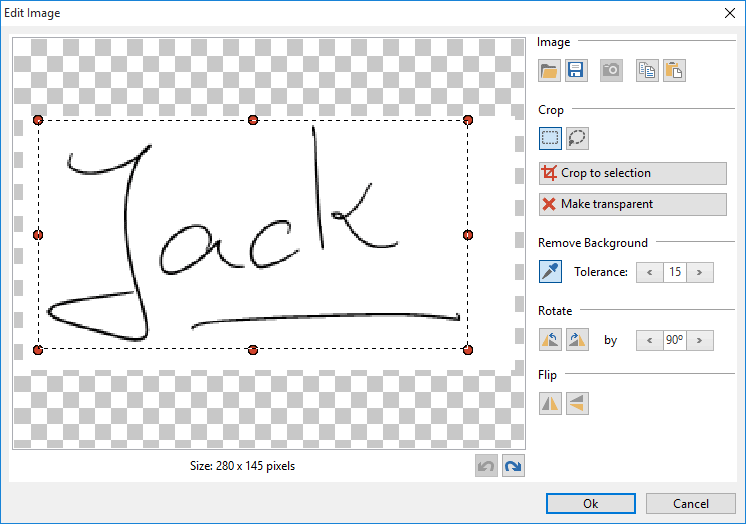 Crop and rotate images as required, or make them partially transparent. 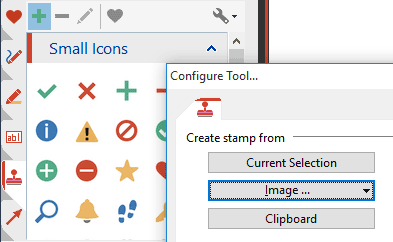 Create stamps from images. Select between single page and two pages, whole page and continuous view. Freely configure the tools in your toolbox. Create the tools you need without restriction. 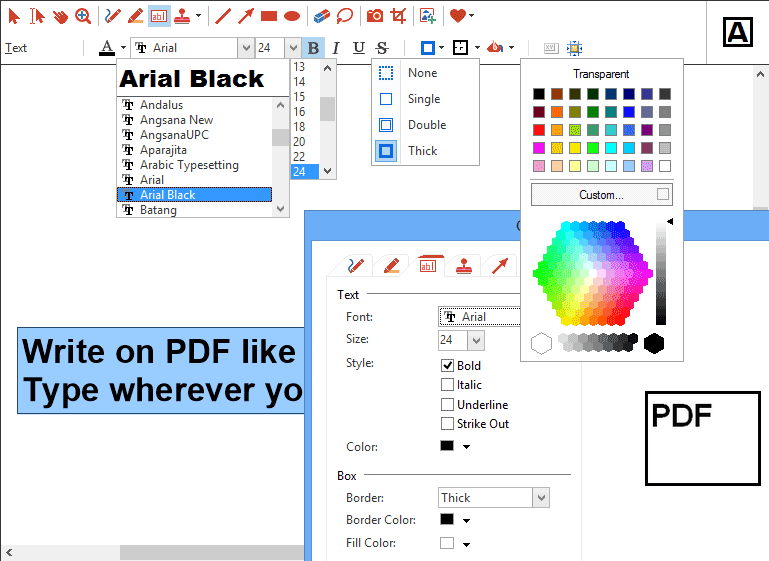 All tools support various style properties, like different colors, borders, fonts and widths. 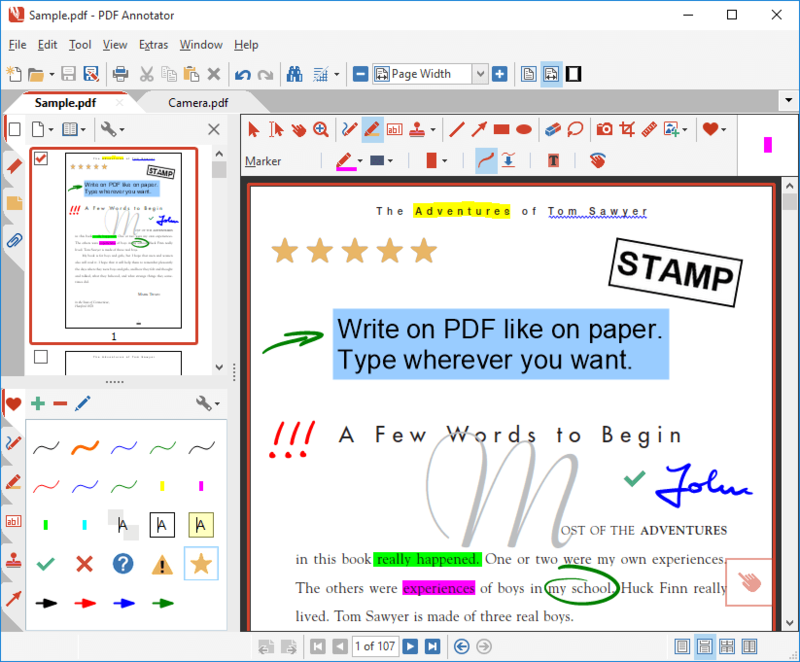 Re-use symbols, drawings, images or text boxes and use them as stamps. 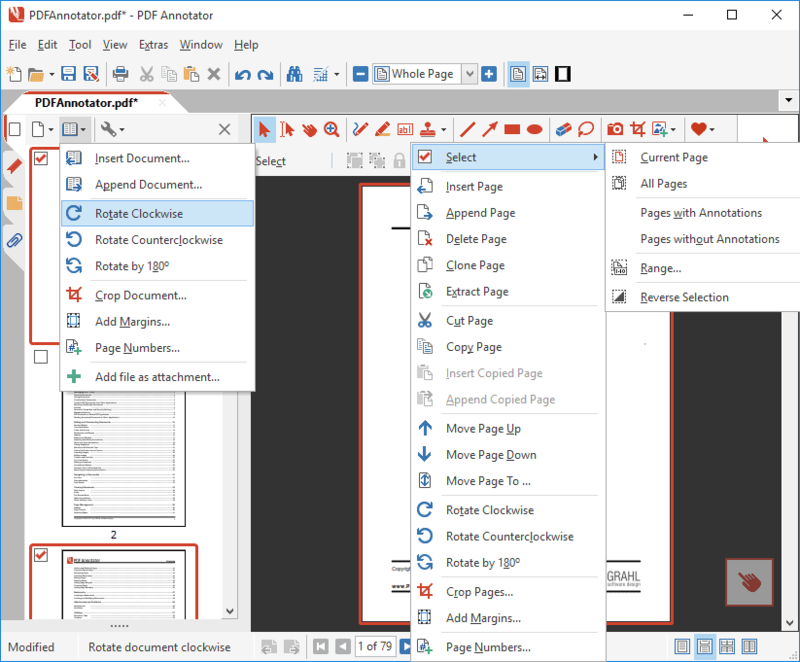 Insert, clone, delete or reorder pages or even insert or append complete documents so you can merge multiple documents into a single one. Quick expandable thumbnail view with multi-select support for all page operations. 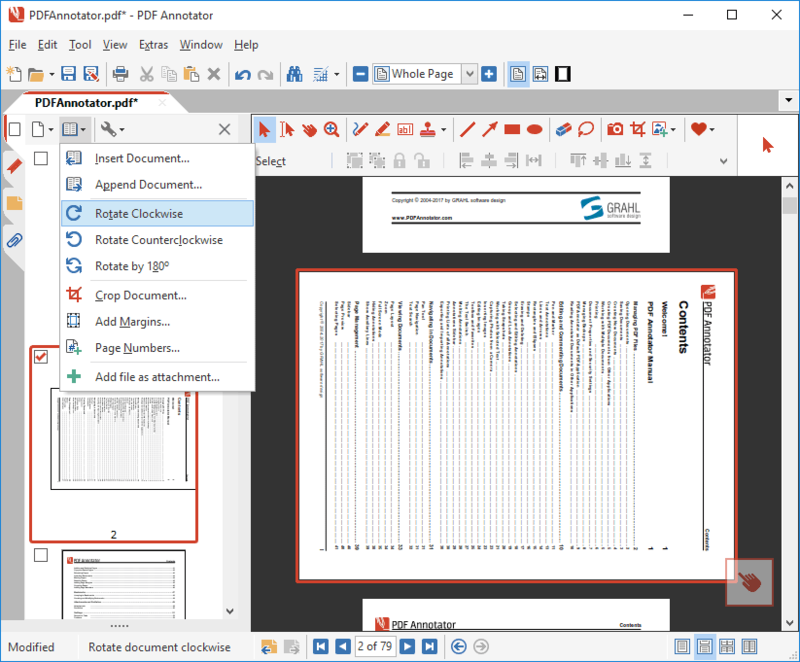 Permanently rotate single pages or whole documents. 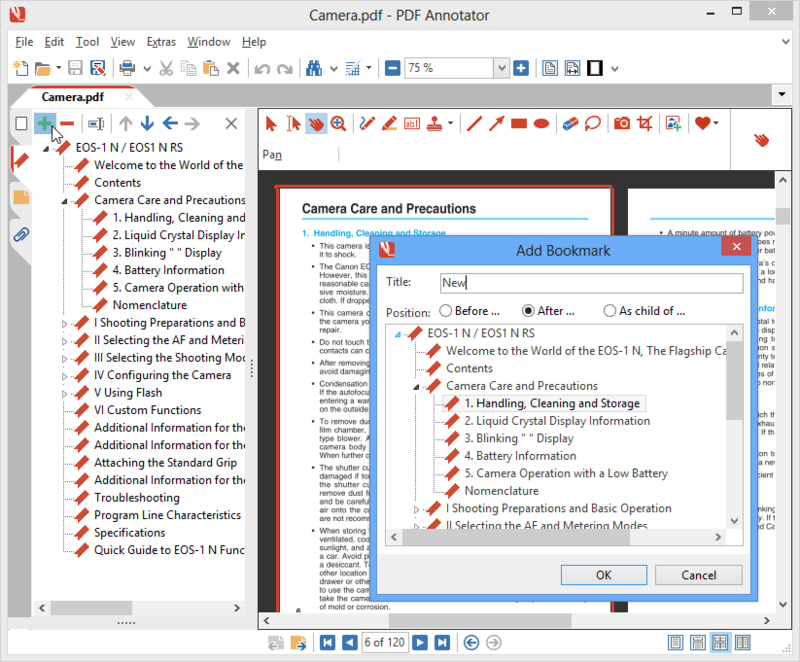 Quickly jump to bookmarks within the document. Create your own bookmarks and edit existing ones.